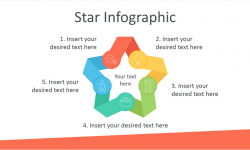 Impress your audience with this free smartphone infographics for PowerPoint. 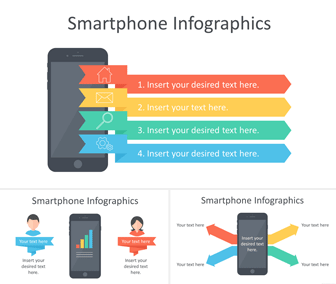 The slides include a flat design illustration of a smartphone with ribbon arrows and thin line icons along with text placeholders. The second slide includes a gender comparison infographics men vs women with people icons and ribbon labels. Finally, the last slide features a smartphone with four external arrows and text placeholders. 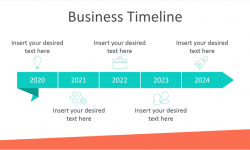 These vector-based slides are fully editable and you can create unlimited slide variations in the slide master view in PowerPoint. 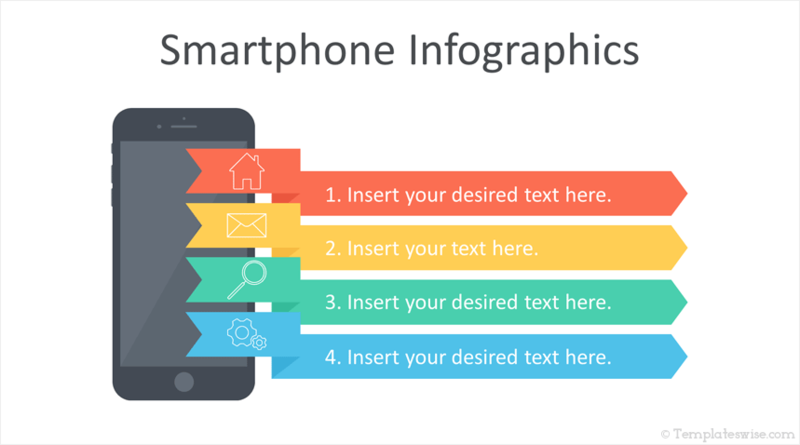 If you like these infographics, take a look at our Smartphone PowerPoint template in flat design style which has similar graphics.